At The Artisan Shop we make all of our doors, drawer fronts, drawer boxes and the majority of our accessories in-house. All the parts come together and culminate in a truly hand-crafted custom cabinet project. 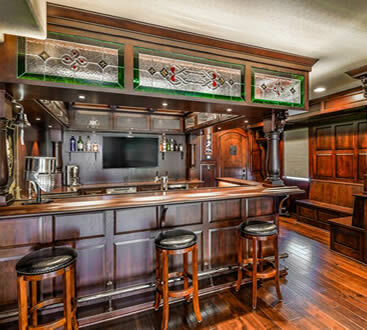 We pride ourselves on the dream kitchens, bathrooms, wine cellars, entertainment centers and one-of-a-kind home bars we create for our customers. The Artisan Shop is committed to green building standards and the shop is a great example of this. We use technology to reduce waste, recycle unused wood and sawdust in addition to the responsible sourcing of our materials. The Artisan Shop is a proud Colorado Company with a state of the art production facility combining today’s modern technology with the hands-on craftsmanship of true artisans. Our experienced designers and artisans transform the finest raw materials into spectacular award winning projects. Come into one of our showrooms and let us show you how we can make your new home or remodel a reality.